The 2019 MLB offseason has been quite the disappointment thus far. Bryce Harper and Manny Machado are the two names that were supposed to shock the baseball world with record-breaking contracts. Yet on February 12, both remain un-signed. Last week was a reminder, however, that this could all change at the drop of a hat. With news breaking Wednesday that the Giants have met with Harper and are indeed pursuing the coveted free-agent slugger with mutual interest, they might be lucky enough to have him to fall into their laps. The prospect of adding Harper is enticing and exciting for a myriad of reasons, most of them having to do with the fact that he’s a generational talent who’s still just 26 years old, and that he would go down as the Giants’ biggest offseason acquisition since Barry Bonds. But there’s something else the superstar could bring to the Giants that the club has been missing for years. Adding Harper would give the Giants a star, in his prime, to build around. Bringing Harper to the Bay would serve as the first step to turning the San Francisco Giants into a premier destination for top-tier free agent hitters, something they have struggled to attract in recent years. With Harper on your roster and the franchise headed in a good direction (knock on wood), players will want to play here. For example, Nolan Arenado and Mike Trout are both free agents in the next couple of years. Dangling Harper out there as a potential teammate can be huge in recruiting elite-level talent to San Francisco, something the team has not done for a while. We saw it with the Giancarlo Stanton pursuit — he wanted protection in the lineup, surrounded by players that matched his level of play. We live in a day and age in sports, where elite athletes are actively trying to join other elite athletes. It’s most common in the NBA with the recent trend of “super teams,” but it’s becoming a trend in baseball as well. Take last offseason’s trade of Stanton for example. His list of desired teams were all World Series contenders. This offseason we’ve heard rumors of Harper and Machado targeting teams like the Yankees, Dodgers, and Cubs. Players no longer want to be the lone superstar on their team. They no longer search for a team that can be theirs and only theirs. Great players want to be surrounded by other great players — crazy, right? The Giants have swung and missed on many names in recent years, not just when it comes to hitters. Most notably: Stanton, Zack Greinke, and Jon Lester, who all passed on playing in San Francisco. Stanton sat down with the Giants, took a look at their roster, and said ‘no thanks.’ If the Giants somehow, someway convince Harper to sign with them, they will never have to worry about this issue for the remainder of his time in San Francisco. Picture yourself as Arenado or Trout (must be nice, right?) and imagine joining forces with Harper. That might not be a realistic scenario, but it works with any free agent of any skill level. The point is, if you’re a free agent, you take one look at the Giants and Harper, and you’re instantly intrigued. Playing at one of the most gorgeous facilities in Major League Baseball, in front of a sold-out crowd of 42,000, on a team that has arguably the best hitter in the game. Now that’s intriguing. Harper will command a massive financial commitment. Yes, the Giants already have big financial commitments, some would say to a fault. All of that can be worked out and alleviated over the course of the next couple of seasons. The difference between the big commitments the Giants have now and the commitment Harper commands is that he is worth that commitment. It’s easier said than done, but the Giants can sign Harper and deal with the bad contracts afterward. It’s very important that the Giants work themselves back into a good financial situation; they’re going to need to have flexibility moving forward if they are lucky enough to sign Harper as well as other big-name free agents in the future. Of course, with all of the recent hype around the Giants’ mutual interest in Harper, expectations should be tempered. It’s going to take a lot to convince him to come to play in San Francisco, and it’s unlikely that the Giants will blow anybody out of the water with their offer. What the Giants are doing is strictly taking advantage of a market that’s working in their favor. 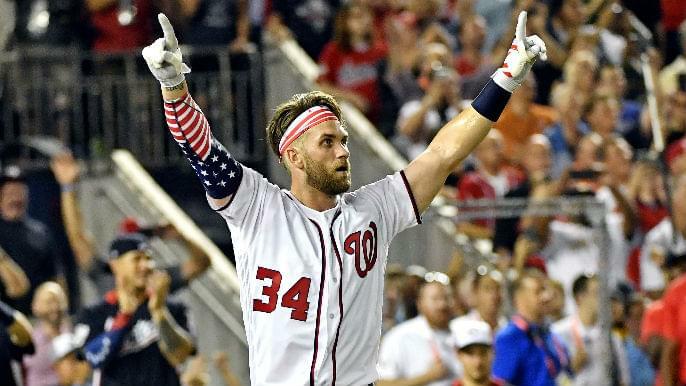 If the Yankees, Cubs, or Dodgers were major players, Harper would have signed weeks ago. Luckily for the Giants, these teams do not seem to be standing in anybody’s way of signing him, and that could somehow land the Giants the biggest free agent of the decade.